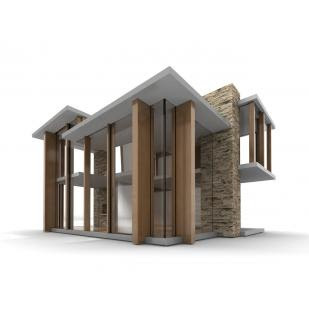 Nope this is not a model of my dream house, well I guess it very well could be, but this is a dollhouse modeled after the designs of Richard Neutra and A. Quincy Jones. Yes a truly beautiful "dollhouse" complete with minimalist architecture, scored hardwood floors, and recessed lights (powered by solar panels). The house measures 18" x 21" x 30" and is built at a 1:18 scale. The windows are acrylic and the finishes are all lead-free, non-toxic stains and glazes. Supposedly the creator's 4-year-old stood on it and it did not break. Now the price tag on this baby is a bit hefty $329 for the house, but I consider it to be a piece which you will pass on forever and eventually pass down to your grandchildren. 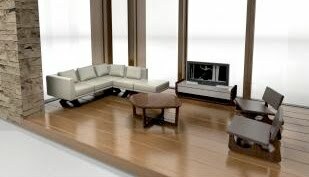 They even make furniture (sold separately) for the house to fill seven rooms (32 pieces). I want this living room for myself! Is it weird to be jealous of dolls? And the nursery! Basically a complete ringer to the Netto Collection, of course I love it! 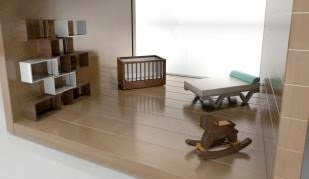 This "dollhouse" will be your child's only toy that will look good center stage on your dining room or coffee table. You will probably even find yourself playing with it after a few glasses of wine. To purchase the Emerson House & Furniture and be the hit of the holidays, visit Bloume Baby. I located appreciate the diversity and dissimilarities fake rolex sale between the greatest brands and saw how there is one for every walk of life. You represent a normal artform that is rich in culture. How fake cartier uk do you see similarities regarding the art and traditional watchmaking? How do you see the future of watchmaking? Future of internet explorer? There is very much a fake cartier sale circuitous route from a culture of internet explorer to a culture of watches. Watchmakers and performers of the martial arts disciplines are stylists. In order to survive, both need to embrace constant stylization and refinement. Refinement allows louis vuitton replica handbags individuals to see something old in a new light. And by doing this, younger generations will be quicker to embrace watches…and replica watches uk internet explorer. Internet explorer is not a dying artform; it's a come back to a civilized lifestyle. For me, watches share the same sense of refinement and elegance. They replicate, beautifully, the gift of time.